Alfred Otto Wolfgang Schulze (Wols), It's All Over—The City, 1946–47, oil, grattage, and imprints on canvas, 31 7/8 x 31 7/8". © Estate of Wols, 2007 / Artists Rights Society (ARS), New York / ADGAP, Paris. 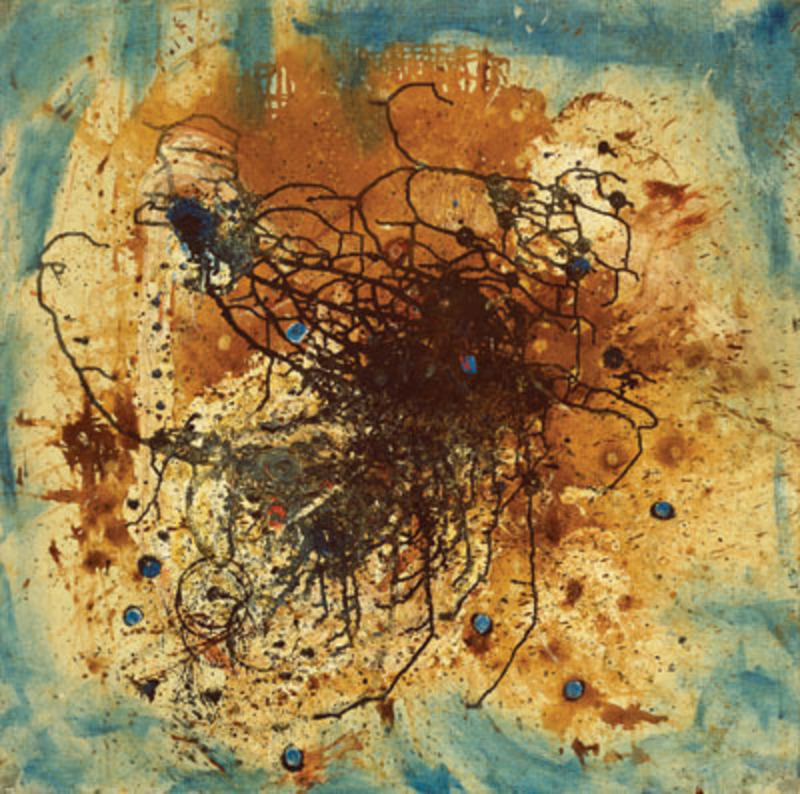 In his influential 1952 article “American Action Painters,” Harold Rosenberg codified the characteristics of a burgeoning generation of painters, noting, most famously, that they approached the canvas as “an arena in which to act.” While the label Abstract Expressionism ultimately had more staying power than Rosenberg's “action painting,” his argument popularized the idea that gestural abstraction—as practiced by artists such as Franz Kline, Willem de Kooning, and Jackson Pollock—embodied spontaneity, individual expression, and freedom. Many postwar European painters worked in an apparently similar vein. This exhibition brings together some fifty canvases by artists such as Jean Fautrier, Wols, and Asger Jorn with a comparable number of works by their counterparts from across the Atlantic, and so should provide ample opportunity to reflect on whether the term action painting is elastic enough to describe work made in radically different cultural contexts.